Carrie’s work focuses on restoring and maintaining our nature preserves, together with the help of many dedicated volunteers. She also supports the acquisition work related to protecting new conservation properties, and works to develop the next generation of land stewards through providing on-the-land learning experiences for local K-12 students. 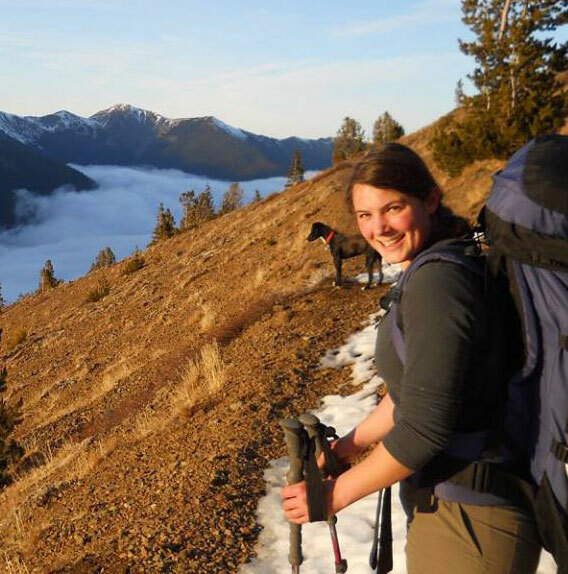 She grew up exploring the outdoors, and a love of nature sparked an early interest in science that led to a BA in Biology from Northwestern University and an MSc of Biological Sciences from Cold Spring Harbor Laboratory. Returning home to the Olympic Peninsula, she learned about local habitat restoration while working as a Washington Conservation Corps member with the North Olympic Salmon Coalition restoration crew. During that time, she became acquainted with Jefferson Land Trust as a volunteer, then as an Americorps staff and most recently as preserve manager.